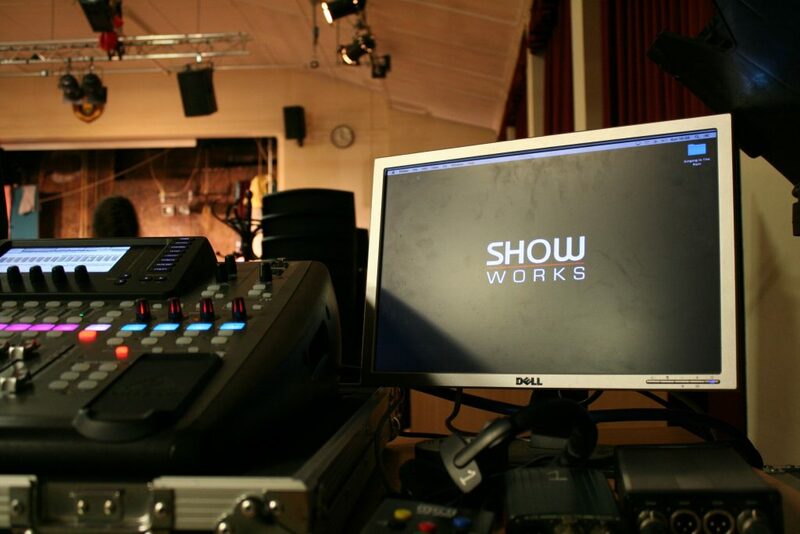 Sound Hire and Design for a production of Singing In The Rain this weekend. 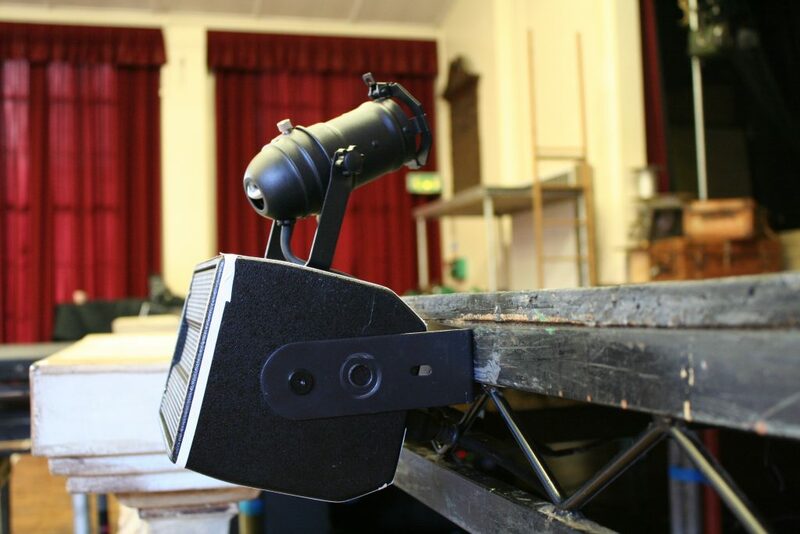 Hosted in a school, rigging and infrastructure can be very tricky, so there were a few obstacles to overcome when designing the system. 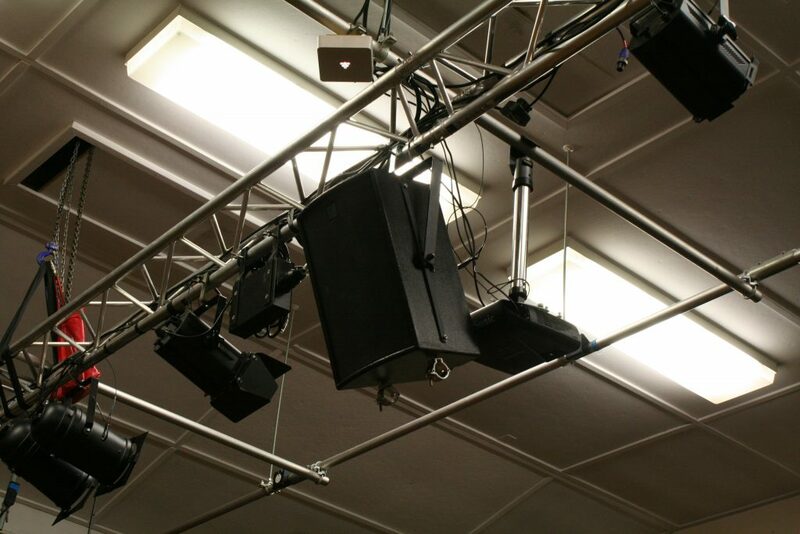 The system design is pretty standard to that of musical theatre, however not too common within schools. The orchestra is positioned stage right of the trust. The biggest challenge here is to insure that the audience closest to the orchestra can still hear the actors, whilst still maintaining some band imaging. 9 meters of truss were flown in to match the front of the thrust, forming a new ‘Proscenium’. The centre cluster and left/right were hung on this truss. A well as giving lighting some more rigging points. In Addition to the centre cluster, front fills were installed on the forward edge of the stage. This formed the basic infrastructure for the vocals in the school hall. A pretty standard system, but essential in this way of staging. With the orchestra being so close and open to the audience, front fills really provided key reinforcement to insure audience next to the orchestra could hear the actors, as well as bringing the vocal image down. Thankfully, with the height of the hall and proscenium being so low, localisation wasn’t too much of a mean feat. Mounting the Martin Audio W2s with the tweeter at the bottom allowed the reinforcement to be even closer to the source, yet still not providing any sight line issues. 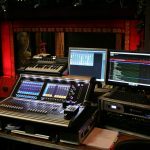 – 2 x Martin Audio W1 for delays.